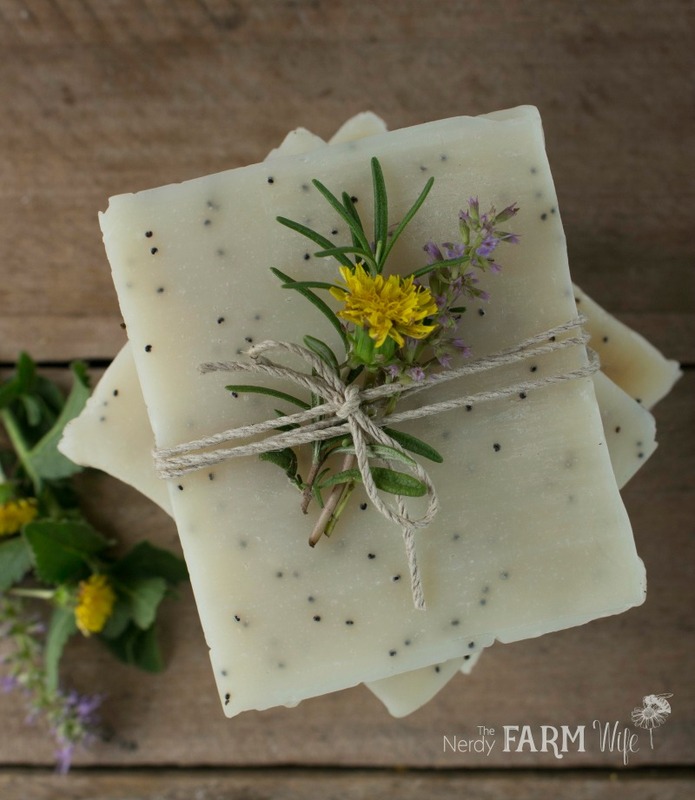 Dandelion flowers, which are wonderful for treating rough, dry skin, are infused into skin-softening olive oil, then combined with bubbly coconut and nourishing sunflower oil to make this soap. It’s perfect for scrubbing away dirt and grime from hands, making it a wonderful gift for the gardener or farmer in your life! It can also be used as an all-over, gently exfoliating body bar. Wearing protective gloves and eyewear, carefully stir the lye into the water in a heatproof plastic or stainless steel container until completely dissolved. When mixing lye into water or another liquid, it gets very hot fast, and strong fumes will develop for a few moments. Don’t breathe these fumes in directly. Work near an open window, outdoors or under an exhaust fan. Set the mixture aside in a safe place out of reach of pets and household members for 30 to 40 minutes, or until the temperature is around 100 to 110°F (38 to 43°C). 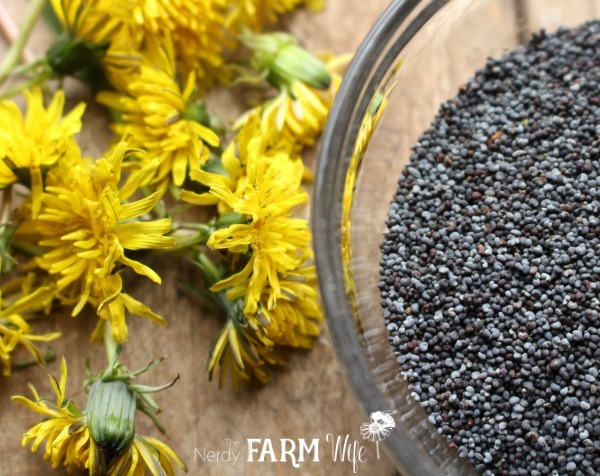 While the lye solution cools, weigh out the dandelion-infused olive oil and sunflower oil and pour them into your soap-making pot or bowl. In a double boiler, heat the coconut oil and cocoa butter on low until completely melted. Pour the melted butter combination into the other oils and check the temperature. If needed, heat the oils to around 90 to 100°F (32 to 38°C). At this point, you can choose to make hot process soap or cold process soap. Add the lemongrass essential oil and poppy seeds, then stir until they’re fully incorporated. 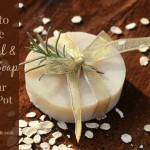 Pour the soap into a prepared mold. Let it stay in the mold for 24 to 48 hours, then remove and slice into bars. Let the bars cure in the open air for at least 4 weeks before using. Pour the soap batter into a slow cooker turned on low heat. Cover with the lid and let cook for 1 hour, checking and stirring at least every 15 minutes. After the hour has passed, stir in the poppy seeds and lemongrass essential oil, then spoon the cooked soap into a prepared mold. Allow it to firm up overnight, then remove from the mold and slice into bars. You can technically use hot process soap right away, though it’s much improved if you let in cure in the open air for several weeks first. If you like the projects on my site, you’ll love my book – 101 Easy Homemade Products for Your Skin, Health & Home! Tagged dandelion. Bookmark the permalink. I just infused a batch of dandelions in apricot oil. I might use that instead of the sunflower oil and see how it turns outs. This soap is so pretty Jan !!!! What size mold did you use? Hi Kelllie! I use a homemade wooden mold with inner dimensions of 8” x 3.5” x 3.5”, but a 3 lb mold would be about right for this recipe too. Thank you. The book is awesome. I love it! 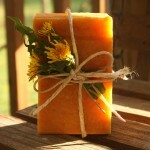 Recently made this soap and I know it will be a favorite of ours! (Plus, having my grandchildren help pick the dandelions was such fun)! Thank you for all the great recipes and your willingness to share with us. 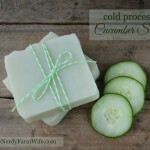 This looks like a great soap recipe! I’ll have to see if the neighbors wouldn’t mind me picking a few of theirs since our chickens pretty much ate our backyard! Hi, I visiting from strangers and pilgrims, your new book looks lovely. Thanks! Thank you for the lovely giveaway at Strangers and Pilgrims on Earth. I hope I win a copy of your book 101 Easy Homemade Products . Nice site! Thank you for offering your book on stangersandpilgrimsonearth blog! jan, your soaps always look so lovely. 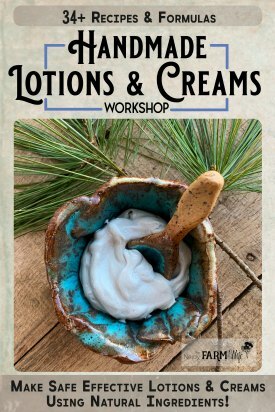 one of these days i’m going to try soapmaking. i think there is possibly another typo on p. 130 in the tip bubble where it says to add another ounce of oil but says 14 grams. should that be 28 grams instead or am i just misunderstanding something? You are exactly right too – that’s another typo we missed! Thank you!! That’s really helpful to know. I’ll send a note to the publisher right away and hopefully they can get it corrected if the book hasn’t already gone to reprint. oh! I’m glad I read this post. 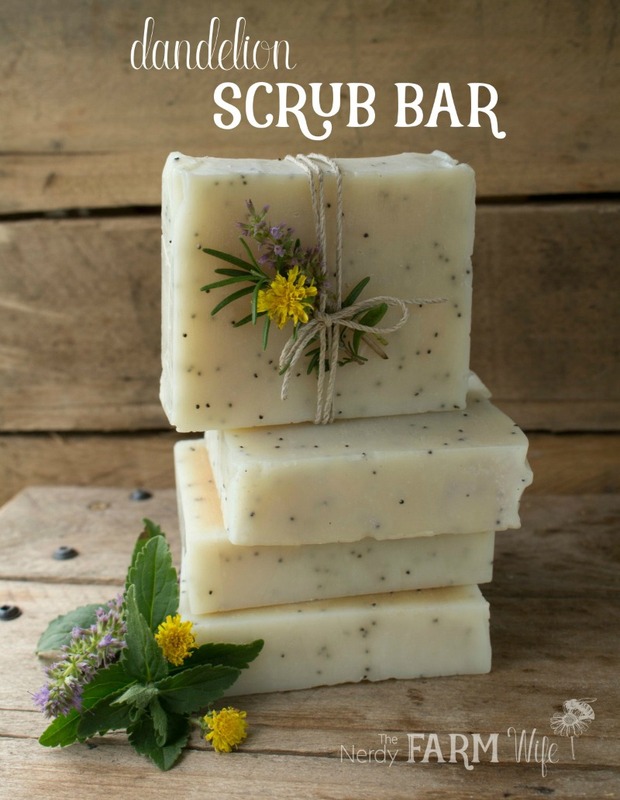 I already made the dandelion soap with just the 6 oz and my soap is crumbly and looks a lot different than your picture. 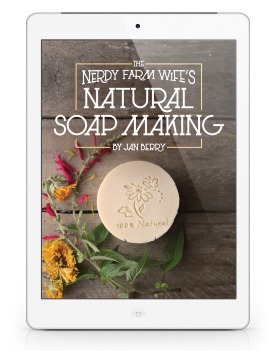 I’m almost happy to know there was an error because I was thinking I’m not the best at making soap…ha..
Oh no! I’m so sorry that happened to you! That happened to someone else as well so she rebatched the soap, adding in the missing oil, and thankfully it made the batch usable again. When I am using dandelion infused oil, do I need to account for that when using the lye calculator?